Home » Our Guidance » Issue Areas » Haiti: How Can I Help? Haiti: How Can I Help? We have all heard a lot about Haiti, much of it focused on the poverty that existed before the January 12, 2010 earthquake and the devastation that followed. In this guide, we outline ways that donors can help Haitians develop the capacity they need to build a brighter future for themselves, their communities, and their nation. None of Haiti’s problems are unsolvable. As attention shifts from immediate disaster relief to building the country back better, we show you nonprofit models with proven track records for making lasting impact. The 7.0-magnitude earthquake that struck the island nation resulted in a large-scale humanitarian crisis: the death toll has been estimated at well over 200,000; an estimated 300,000 people were injured; and an estimated one million have been left homeless. The earthquake destroyed the commercial and political capital of the country—Port-au-Prince—prompting a dramatic reverse migration to the impoverished, rural communities many Haitians had fled in search of better opportunities. The earthquake revealed the acute underdevelopment that has plagued Haiti for decades and compounded the poverty, destroying what little infrastructure and capacity had previously existed. To help donors understand where high-impact opportunities exist, our multidisciplinary team spoke with dozens of people, including nonprofit practitioners working in Haiti, members of the Haitian Diaspora who were in daily contact with loved ones in Haiti, development experts, donors with long-term projects in Haiti, and researchers who had conducted assessments of the models described in this guide. We reviewed nonprofit program and financial information, listened in on conference calls reporting on the status of relief efforts, and met with individuals designing programs aimed at improving Haiti’s long-term development prospects. This guide is the result of our efforts. As always, our hope is that by doing much of the legwork for you, we provide the kind of independent, practical advice that will help you move from concern and good intentions to impact. These areas represent the three pillars of socioeconomic development; without significant improvements in each of these areas, Haiti will not be able to move past the current devastation. 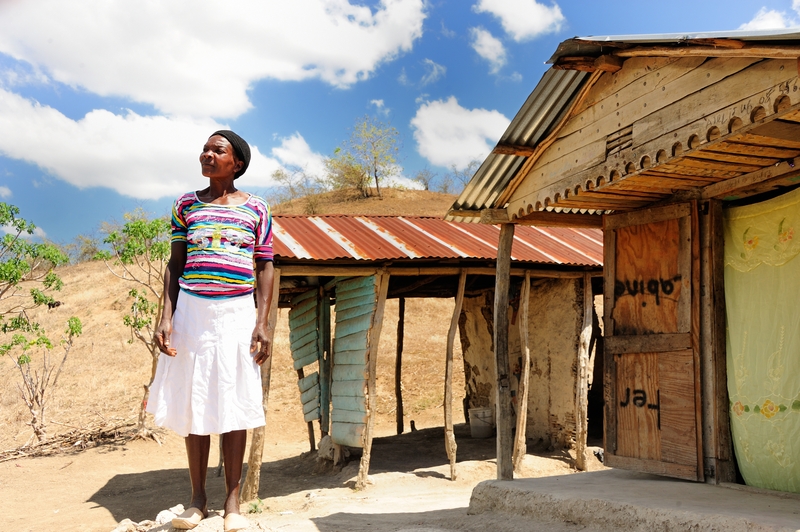 Promising nonprofit models already exist in each area and are currently operating in Haiti. Models in these areas offer effective and cost-efficient opportunities for donors to help. The three areas are interrelated so that investments in one area yield gains in others. In fact, most programs are integrated across all three sectors. The models are similar in that they all emphasize capacity building. All are responsive to local needs, are staffed almost entirely by Haitians, and are designed to support and strengthen the government’s effectiveness. By involving affected communities in their own recovery and rebuilding, these models have produced sustained impact — positive change that lasts long after you make a donation. A brief analysis of the current situation. A description of high-impact models to improve the situation, including an estimate of the impact and cost of each model. Examples of the Models in Practice currently operating in Haiti to help donors understand how nonprofits target these core issues effectively. Contact information for nonprofits mentioned. We focus our analysis on identifying effective models rather than on rating specific nonprofits. This is because much of the available evidence on impact and cost-effectiveness exists only at the level of the model. In addition, many donors, particularly major individual donors, are looking for guidance to inform their own entrepreneurial efforts or help them improve the effectiveness of their current philanthropic activities. To help donors understand how nonprofits apply these models in real-life settings, our Models In Practice provide concrete examples of nonprofit agents implementing the various models. There are many other nonprofits working in Haiti whose efforts we don’t describe in detail. For donors considering other nonprofits, we outline the essential components to look for when assessing whether a program can deliver the kind of results we describe in this guide. You can find these lists at the end of each section. While this guide focuses on efforts in Haiti, the models we describe have been effective in other developing countries. At the end of the guide, we list examples of other places where the models have achieved impact. We also offer tips for giving to any nonprofit described in our Models In Practice. This guide represents the best insight we can offer given the information currently available. We welcome continued input and are exploring ways to update this material to incorporate new information and new developments.